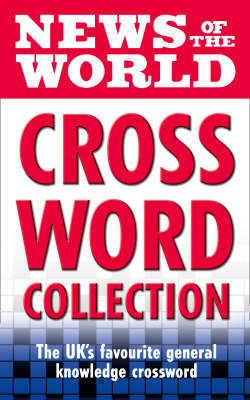 For the first time, the News of the World brings you this fun crossword collection featuring 80 of the best general knowledge crosswords from the newspaper. These quick accessible puzzles are utterly absorbing yet concise enough to be completed on the move. The News of the World crossword collection does not contain any topical clues. Each crossword encompasses a wide range of topics including geography, history, politics, science, natural history, culture, sport, music, film, art and literature. Some examples of the styles of clue are given below: Native language of approximately 200 million people (6) An uncastrated male horse (8) 1948 John Huston film starring Humphrey Bogart and Edward G Robinson (3,5) Study of the structure of the body (7) Rock group whose albums include Sheer Heart Attack (5) Large plant-eating Lizards (7) Guaranteed to test your word power , to boost your general knowledge and to keep you entertained for hours.